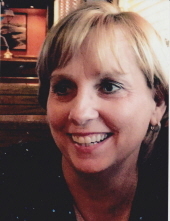 LaDonna Lou Smith, 54, of Carl Junction, MO, passed away Tuesday November 27, 2018, at home surrounded by her family. She was born April 17,1964, in Girard, Kansas, the daughter of Don and Charolette Winterbower.LaDonna grew up in Hepler, Kansas. She was united in marriage to Randy Vernon Smith on June 27, 1980. She graduated from Girard High School with the class of 1982.LaDonna graduated with an Associate Degree in Nursing in 1989. She began her nursing career at Mt. Carmel Medical Center in Pittsburg, KS where she worked in several different areas. In 2008, LaDonna graduated Oklahoma Wesleyan University with a Bachelor's in Nursing. In 2012, LaDonna chose an advancement in her career and began working for Mercy Health Systems where she became EPIC certified in OP TIME at computerized charting system. EPIC electronic medical records turned out to be LaDonna's most beloved career change. She was employed by Mercy Health Systems at the time of her passing.LaDonna was a natural at nursing as she loved to take care of people. She was the kindest, most giving person anyone could have had the pleasure of knowing. She made friends everywhere she went and had a smile and a laugh that lit up the room. She loved going to the beach, taking family vacations, and watching NASCAR races while cheering on Jeff Gordon with her husband. LaDonna loved her family with her whole heart and even in her final days continued to care for them the best she could. She will be missed every single day. LaDonna and Randy recently began attending Crossroads Christian Church in Baxter Springs, KS where they were welcomed with open arms.LaDonna is survived by her husband Randy Smith of Carl Junction, daughter Chelsey Caballero and husband Ricco of Oklahoma City, OK, nephew who was a son to her, Levi Grant of Oklahoma City, OK, twin sister LaDale Grant and husband Rod of Joplin, brother Randy Winterbower of Hepler, ks, parents Charolette and Don Winterbower of Hepler, KS, nephew Colby Winterbower of Hepler, KS, and two nieces Carly and Cara Winterbower of Ozark, MO. LaDonna also leaves behind numerous extended family and close friends.LaDonna was preceded in death by her daughter, Brigitte Smith.The family will be present for visitation on Friday, November 30, 2018 from 6:00 PM until service time at Crossroads Christian Church in Baxter Springs, KS. Funeral services will follow starting at 7:00 PM at the church with Pastor Jacob Stivers officiating. In lieu of flowers memorial donations may be made to St. Jude’s Children’s Hospital. Services are under the direction of Simpson Funeral Home in Webb City. Visit www.simpsonfh.com for online condolences. To send flowers or a remembrance gift to the family of LaDonna L. Smith, please visit our Tribute Store. "Email Address" would like to share the life celebration of LaDonna L. Smith. Click on the "link" to go to share a favorite memory or leave a condolence message for the family.